Which deck did you make and why, how long did it take you to make your deck, and how were you changed by making your deck? Having taught Tarot writing classes since 2012, I’ve witnessed firsthand the playful and powerful blessings that blossom out of sustained contact with the creative energies of the Tarot. 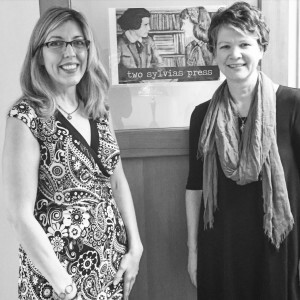 As a poet and a life-long Tarot enthusiast, the first Deck Makers that came to mind for me to interview were Kelli Russell Agodon and Annette Spaulding-Convy of Two Sylvias Press, the creators of The Poet Tarot deck and the Poet Tarot App. I’ve been using The Poet Tarot deck with my Tarot writing students since I first acquired the deck in Seattle at AWP in 2014. 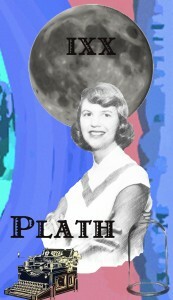 I confess I am not much of an “app” person–and in fact, the Poet Tarot App is the only app I use on my phone. Now when I travel, I leave my dozen plus decks at home so I won’t get stopped at airport security. But more about the synchronous joys of using the App with my family while traveling in a future post–on to the Poet Tarot! Thank you so much for speaking with us today, Annette and Kelli. Which Tarot deck did you make and why? ASC/KRA: We created a Tarot deck in early spring of 2014 based on famous poets. We named the deck “The Poet Tarot: A Deck of Creative Exploration” because the deck not only includes poets but also focuses on the creative process of working on artistic projects (the deck concentrates on writing, but is applicable to visual arts and any creative venture). The idea for The Poet Tarot came about when Annette woke one Sunday morning in May of 2013 with an idea for a deck that featured poets in place of the Major Arcana cards. 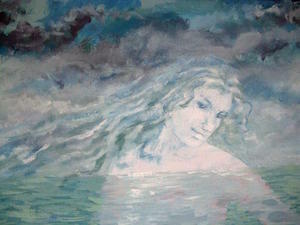 She envisioned the suit cards (Minor Arcana) as embodying the process of creating a work of art (inspiration, creation, revision, completion). She emailed Kelli immediately after jotting down an outline for the deck, and asked her if she would like to collaborate on the project and work on the visual art and design aspects. Annette had a picture in her mind of what the cards would look like—vintage, retro, antique with muted colors, maybe a bit of steampunk and Victoriana. Kelli designed a test card of Edgar Allan Poe and it was absolutely perfect. From there, we drew up a list of deceased poets and matched them to the Major Arcana cards and to the Kings and Queens of each suit. Kelli designed and created the artwork for the individual cards while Annette hammered out the meanings and wrote the guidebook. Neither of us had ever come across any creativity/divinatory tools that directly dealt with poets and since we are writers and poets ourselves, we were excited to bring the vision to fruition. Our deck follows the traditional Tarot deck with a few variations. As we stated above, the major arcana is made up of poets–Edgar Allan Poe represents the Devil (XV) while Emily Dickinson is the Hermit (IX). E. E. Cummings is a great fit for the Fool (0) and William Butler Yeats, a good symbol of transformational Endings (XIII). The suit cards represent the stages of the creative process: Muses/Inspiration (Cups), Quills/Creation (Wands), Mentors/Revision (Swords), and Letterpresses/Completion (Coins). The guidebook accompanying the deck is 80 pages and includes card explanations, layouts, and ideas for using the cards for specific projects. We ran a successful Kickstarter campaign to help us fully finance the printing and production of the deck and guidebook. Since its creation, The Poet Tarot has been a popular item at AWP Conferences (The Association of Writers and Writing Programs) and has been featured in O, The Oprah Magazine. In order to make the deck more widely available, we released an App version of The Poet Tarot in spring of 2016 for both iPhone and Android. We feel that the App focuses on accessibility since no familiarity with Tarot decks is required in order to use it—the querent simply chooses a card (which pops up randomly) and selects “View Meaning” to receive insight on any creative project he/she might be working on. Unlike the Poet Tarot physical deck, which has suggested layouts, the App only features one card at a time. It’s important to us that the deck has appeal to those familiar and skilled with reading Tarot cards and to those who simply want a dose of daily inspiration and guidance without any prior Tarot knowledge. How long did it take to make The Poet Tarot? KRA: The images for all of the tarot cards took about nine months to create, basically the amount of time it takes to give birth. My biggest challenge as a graphic designer was finding the images to use for each of the cards. Finding images I felt represented the aesthetic of Two Sylvias Press—a vintage yet modern feel, took a lot of research and time. Also, I wanted the deck to have a uniformity without feeling too strict or narrow. 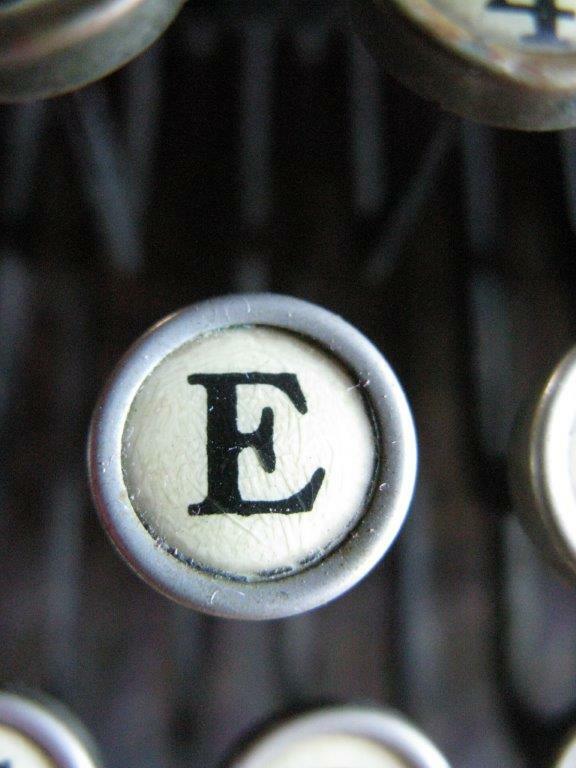 My biggest challenge personally was that I was writing The Daily Poet: Day-By-Day Prompts For Your Writing Practice with Martha Silano during the same period, so finding the time to focus on both was a bit of a struggle. My biggest joy was when a card turned out better than I imagined it—like e.e. 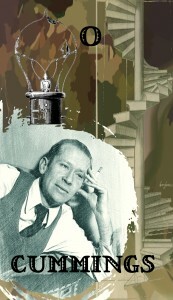 cummings, which is one of my favorite cards with the lightbulb and spiral staircase. 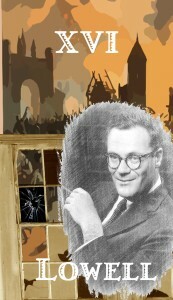 I also loved it when I learned to do something new—such as adding the broken window (adding a realistic element into a vintage scene) in Robert Lowell’s card. Throughout the creation of this deck, I wanted each card to be its own work of art—one that I could imagine someone holding and reflecting on. Knowing that the images are seen and used by others in their own creative work and projects is still my greatest satisfaction from The Poet Tarot. We’ve created something that inspires and helps others create, and for me, this is what fulfills me most and makes me thankful to have been part of it. ASC: As Kelli stated above, the deck took about nine months to complete. During those months, I reflected on the deck and gathered notes, studying each poet’s biography and poems and figuring out how to translate the traditional meanings of the Minor Arcana cards to fit the idea of the creative process. I made the decision to write the guidebook in a single chunk of time rather than writing it gradually. I set aside two weeks and informed my family that I would be camping out on the couch–not cooking, not cleaning, not shopping, not leaving the house until the guidebook was completed. I wanted there to be something both organic and magical/intuitive about formulating the card’s meanings, so I also did not want to worry about the clock—writing at 3 a.m. if I felt inspiration and taking a nap at 2 p.m. if I needed to. It was a difficult and amazing process—some cards, like Anne Sexton and Denise Levertov, flowed effortlessly in minutes, while others, like John Milton, took hours and hours. I think one of the most challenging aspects was not only the amount of work and time involved in the project, but creating cards that remained true to the Tarot, while also being different from a traditional deck, not just a gimmicky knock-off. It was important for our Tarot to honestly represent the poets we chose, to capture the essence of each of their creative spirits and their poetry. Once we had a completed deck and guidebook, I felt (and still feel) a tremendous joy in terms of how well Kelli and I worked on a collaborative level, and how listening to my own creative intuition could give rise to a tool that can assist others in fostering their artistic inspiration. 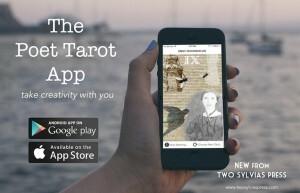 How were you personally changed by the process of making your Poet Tarot deck and the Poet Tarot App? KRA: In creating the cards, The Poet Tarot definitely made me more confident as a graphic designer. I had never worked on a project so big or focused, nor had I created something that required so much detailed work and consistency of image and theme. It changed how I saw myself—I was not just a poet, writer, and editor, but also a graphic designer or visual artist. Five years ago, I would have never imagined myself working on the tarot deck and especially the App. It feels good to know that I can’t predict my future or projects, and that I am able to continue to expand as an artist and designer–even into more techie areas. Completing both the print deck and working on images for the The Poet Tarot App allowed me to realize that my art can stretch from poetry and writing into a more visual arena. I am not limited by labels. Since working on the deck, I have gone on to create book covers for Two Sylvias Press and have continued learning more in graphic design. ASC: For me, the creation of The Poet Tarot taught me a huge lesson about listening to my intuition, to my deeper self where creative inspiration arises. Before waking up with the idea for the deck, I had been practicing some creative visualization in terms of Two Sylvias Press. I had been imagining conversations with such poets as Walt Whitman and Dorothy Parker and occasionally two of my deceased great grandmothers joined in. I really didn’t just wake up one morning with the idea for the deck—something had been brewing and formulating on a subconscious level where I had been focusing my creative energy through the visualizations. Although there seemed something “magical” about inspiration for the deck, the truth was that I had put in the practical effort, in the same way that a meditation practice can show itself in daily calmness and compassion. I take my visualizations a little more seriously now and I’m careful about what I want to manifest! 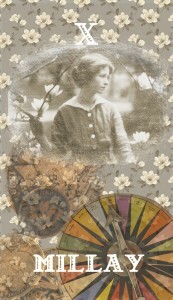 Regarding The Poet Tarot App, I’m thrilled that Two Sylvias Press has moved into the electronic market beyond just eBooks. 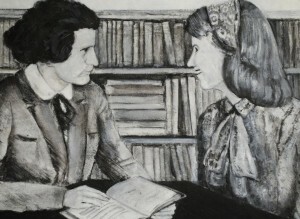 Our vision for Two Sylvias has always involved the mixing and blending of vintage/retro with modern/high-tech so seeing our Gertrude Stein and T.S. Eliot cards pop up on an iPhone with the press of a button has been amazing and satisfying. 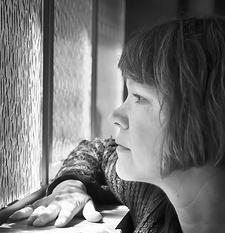 Annette Spaulding-Convy is a poet and editor in the Seattle area. 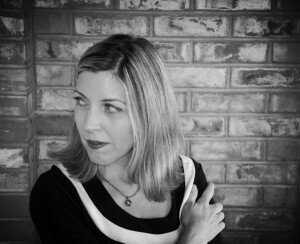 Her full-length collection, In Broken Latin, was published by the University of Arkansas Press as a finalist for the Miller Williams Poetry Prize. Her chapbook, In the Convent We Become Clouds, won the Floating Bridge Press Chapbook Award and was nominated for a Pushcart Prize. She was chosen for the Jack Straw Writer’s Program and is a recipient of the Artist Trust GAP Grant. Her poems have appeared in Prairie Schooner, North American Review, Crab Orchard Review and in the International Feminist Journal of Politics, among others. She is co-founder and co-editor of Two Sylvias Press.